Africa is the 2nd largest continent in the world with a vast number of cultures. It is a continent with so much diversity that can never be under looked – from tribes, languages to religions. Africa has so much to offer to any kind of tourist, whether you long to see the famous mountain gorillas in Uganda, the great Giza pyramids in Egypt or just looking for the best holiday destination in Zanzibar. Africa’s got you covered with the best places to visit. It is no surprise that everyone would want to Travel to Africa at least once in their lifetime. The beauty in Africa is indescribable. But faced with thousands of places to visit in Africa, how is one supposed to choose which country to travel to. 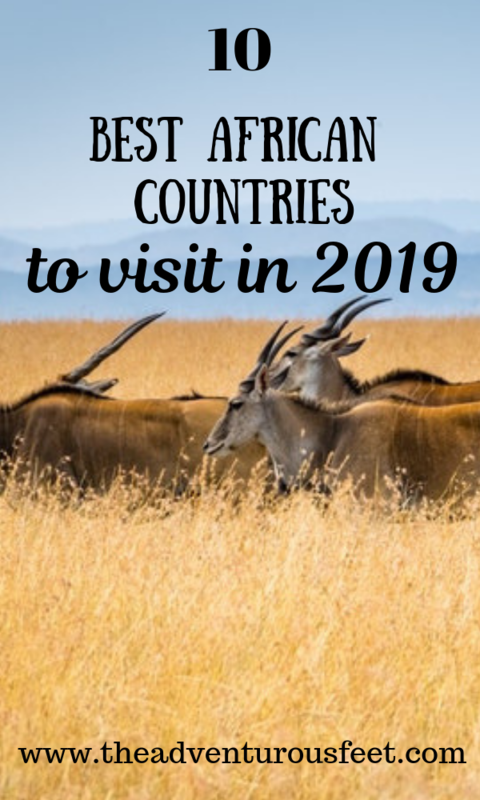 This post narrows it down for you by listing the best African countries to visit in 2019 plus the best national parks in Africa. Located in the Eastern part of Africa, Uganda tops the list of the best African countries to visit in 2019. And it’s not because it’s where I come from but because it is the pearl of Africa, the home to the source of the Nile. It was also named as the friendliest country in the world by BCC from its annual expat insider survey. The survey was made on 14000 expats from 191 countries who gave Uganda a 57% mark on its friendliness, the highest ever. Kim Kardashian called it another heaven during her short visit to Uganda in October 2018. Uganda harbors most of the remaining mountain gorillas in the world making it a perfect location for gorilla trekking, and the best country to visit in Africa. (You can book your gorilla tracking experience in Uganda from here.) The capital city of Uganda-Kampala was recently named one of the most fast-growing ideal places to visit in Africa. Visiting Uganda will leave you wondering why you might not have heard so much about this beautiful landlocked country. Need to learn more about Uganda, grab yourself this travel guide book. Some of the best places to visit in Uganda. Not sure where to stay in Uganda, check out the best rates on hotels here or here. Related post: 8 best places to visit in Uganda. 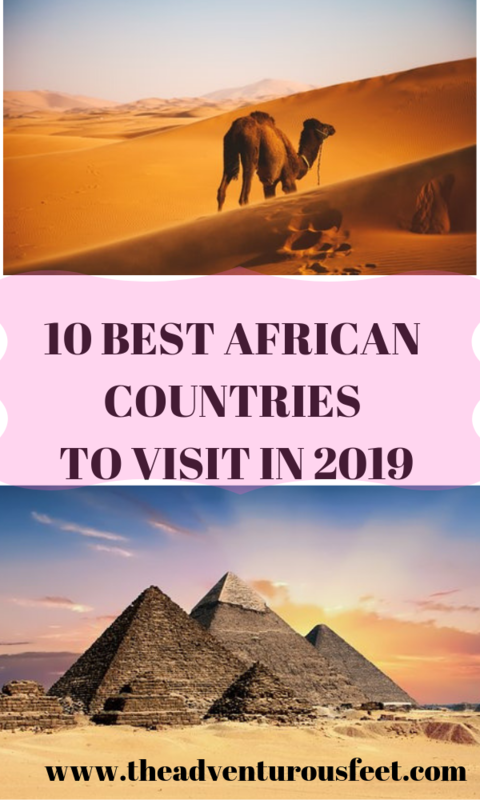 Egypt is one of the best African countries to visit in 2019. It is located in Northern Africa and most famous for its historical sites of the Giza pyramids. 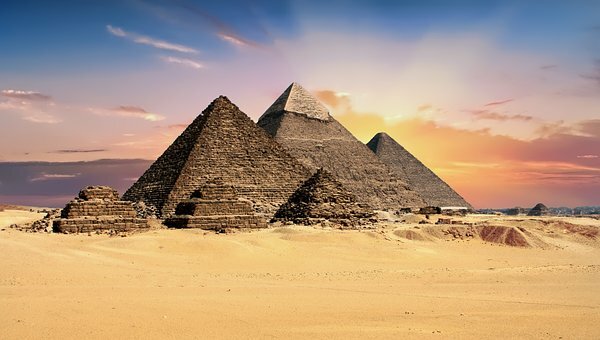 Egypt is almost on everyone’s bucket list that is why it receives millions of tourists every year making it one of the top tourist attractions in Africa. Egypt is a perfect place to enjoy outside door adventure, see the historical sites on a budget according to Lonely planet’s list of the best places to visit in Africa in 2019 based on budget. Some of the best places to visit in Egypt. You can enjoy all these tours on your own or book a tour company through Getyourguide to show you around. Book your stay in Egypt here and if you are a backpacker on a budget, check out this great hostel in Cairo. Situated on the Indian Ocean and the northeast of Madagascar, this small country with the least number of people in Africa has a total of 115 beautiful islands which receive over 300,000 visitors every year. The Seychelles islands are believed to have been discovered by a Portuguese admiral Vasco Da Gama. Seychelles is a tropical country with amazing weather all year round to let you hit the beach almost daily. The beautiful beaches, the sand so soft and the water crystal clear makes Seychelles one of the best places to visit in Africa. The beauty of this place made the royals Prince William and Kate Middletown choose Seychelles as their perfect safari honeymoon getaway. Lying on the beach is not the only thing to do in Seychelles, going for safari is one other thing as part of the country’s land is protected in form of game reserves and national parks. If you are looking for a romantic getaway or just a dream vacation, Seychelles is the best African country to visit just for that. Zambia is a landlocked country located in the south-central part of Africa. 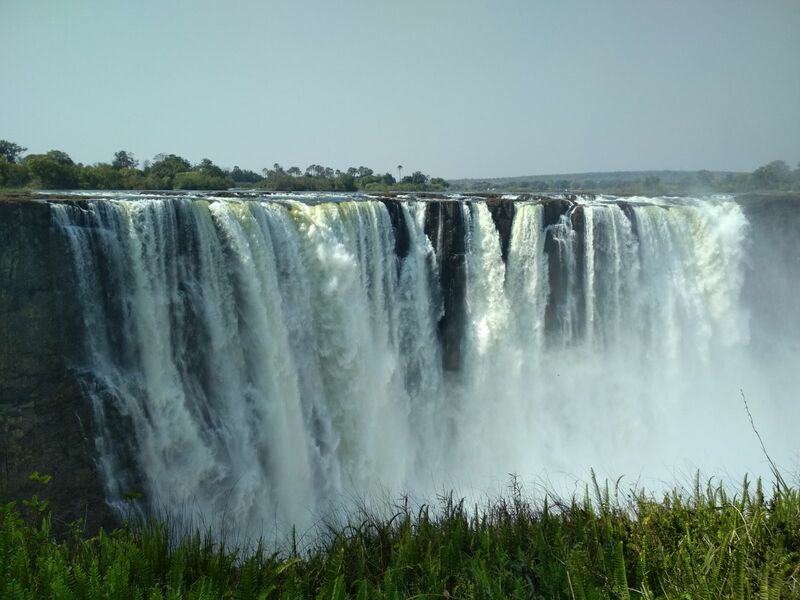 It is on the list of best African countries to visit in 2019 as it offers one of the best wildlife and game reserves in Africa and harbors the great victoria falls. The glorious Victoria falls in the southern region of Zambia and Zimbabwe border is one of the landmarks of the country’s tourism. Victoria Falls is a UNESCO world Heritage site and the biggest waterfall in the world with a length of more than a kilometer and height of more than a hundred meters. The Victoria falls is one of the best places to visit in Africa that should be on every tourist’s bucket list of 2019. The best experience at Victoria falls is paying for a helicopter flight commonly known as the flight of Angels. Click here to book some of the amazing activities at Victoria Falls. Can we talk about Zanzibar? Just the thought of Zanzibar fills my heart. Located 15 miles off the coast of Tanzania, Zanzibar is a perfect place to disconnect from the busy city life and soak in the fresh views and breeze of the ocean. The dazzling beaches and coral reefs of Zanzibar make it a perfect destination for snorkeling lovers and one of the most beautiful places in Africa. 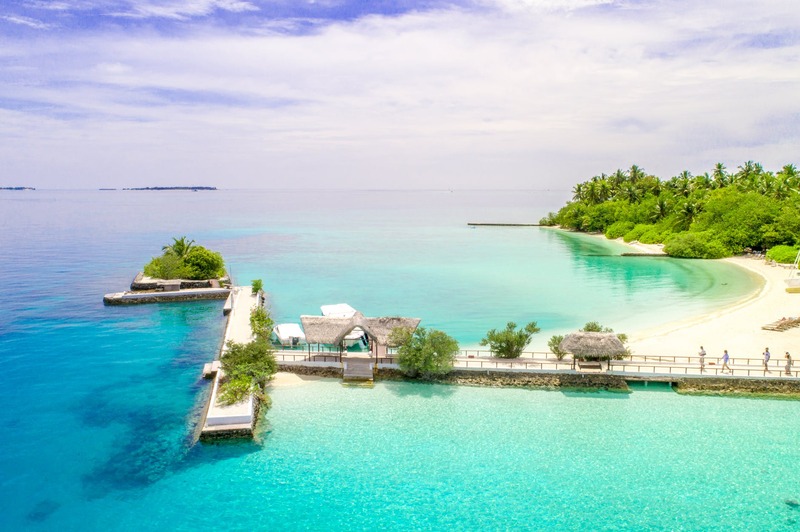 If you are wondering where to travel to next, Zanzibar has to be one of the best African countries to visit and definitely one of the top holiday destinations in 2019. The only downside of this paradise is that it’s always full of tourists who can’t get enough of the tranquillity of Zanzibar. Torn between which hotel to make your home during your stay in Zanzibar, look out for the best offers on Booking.com or Hotels Combined. 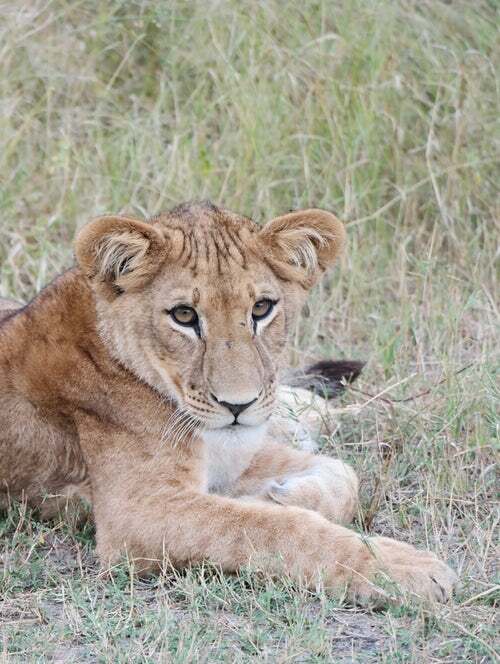 This is one of the best places to go on safari, so if you are a traveler all about safari, Kenya is among the best African countries to visit in 2019. Kenya is home to Masai Mara national park which is famously known for being highly populated with lions, cheetahs, leopards and the annual migration of zebras, gazelles, and wildebeest to and from Serengeti national park in Tanzania annually from July to October known as The great migration. 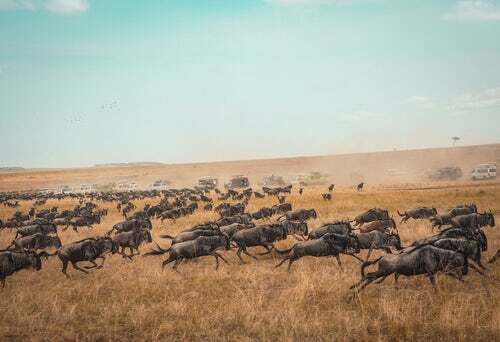 This is one of the most amazing experiences in wildlife and one of the best safari in Africa, none like other with over 1.5 million wildebeest, 200,000 zebras, and 350,000 gazelles. The great migration is a sprint of survival, walking a total of approximately 1800 miles. Unfortunately, a whopping 250 000 wildebeest don’t make it, it’s survival for the fittest. The great migration can also be experienced when you visit Serengeti National park in Tanzania. Read more about Serengeti safari in Tanzania here. Some of the best places to visit in Kenya. Visiting some of these places is much better when using a tour company though doing it solo can also be fun. But if you want to know all about Kenya before your Kenyan safari, this Lonely Planet Kenya travel guide will give you all the information. Morocco has the 5th largest economy in Africa which is derived from majorly phosphate and tourism as the second largest foreign exchange earner. Being geographically located near Europe, most of Morocco’s tourists come from Europe especially Spain which is in close proximity to it. From visiting the small beach towns to the beautiful landscape of the Sahara desert, Morocco is one of the best African countries to visit. 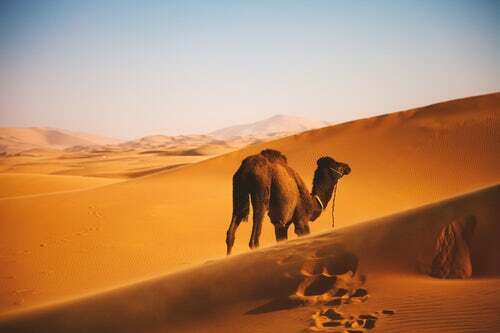 Apart from the Sahara desert which is the highlight of visiting Morocco for almost every traveler, there are so many things to do and see. Some of the best places to visit in Morocco. Marrakech. This is one of the most famous cities in Morocco that you shouldn’t miss on your adventures in Africa. 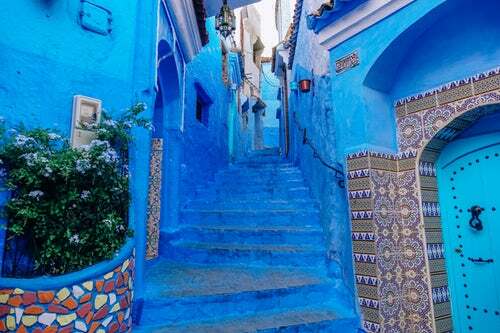 Visit the Blue Village of Chefchaouen. If you are an Instagram savvy, you’ve probably seen many pictures of this town covered in blue paint. South Africa is sometimes referred to as another city in Europe because it is highly developed compared to other African countries. South Africa has so much to offer that you would want to stay there forever, from the beautiful landscapes, friendly locals, amazing wildlife, great food, the list as to why South Africa is one of the best places to visit in Africa is literally endless. You can check out more activities and sightseeing in South Africa from here. some of the places to visit in South Africa. Visit Capetown. It is an amazing city with so much to offer. The table mountain is one of the major tourist attraction in South Africa. 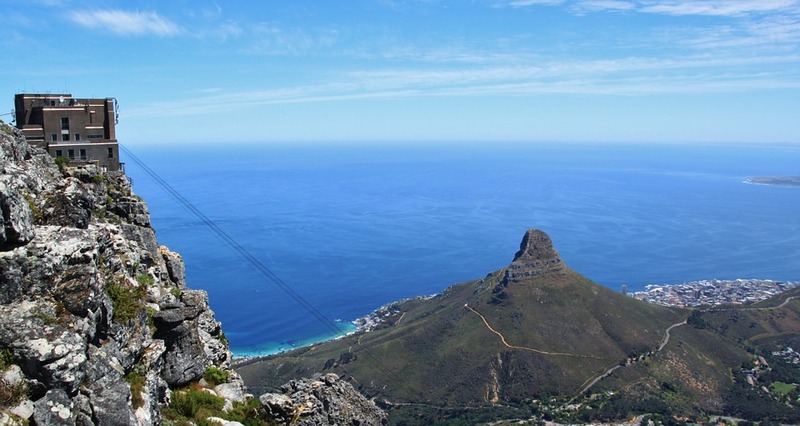 you can opt to hike your way up the Table mountain or take a cable car. The mountain offers 360-degree panoramic views of the city. Visit Hermanus village. It is a small village near cape town. If you are up for the thrill, go cage snorkeling to see the dangerous white shark. Explore cape point. This is one of the beautiful places to visit in South Africa. 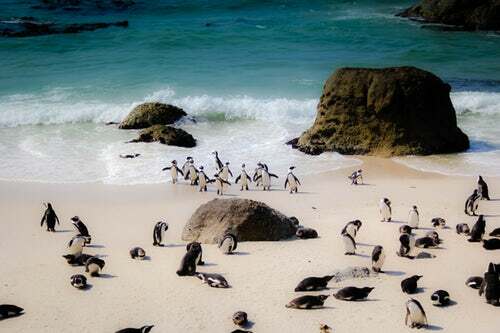 See African penguins on the beach-this is truly an amazing experience. Traveling to Cape town during the winter season, read this comprehensive post by “What the saint did next” that details the cool things to in Cape Town in winter. Grab yourself this copy of the South Africa Travel guide to satisfy your wanderlust and to also get to know why it features in the top 10 African countries to visit. Botswana is one of the best and cheapest countries in Africa to enjoy the wildlife. Northern Botswana has the largest number of the remaining most dangerous wild dogs in the world plus the world’s largest concentration of African elephants. The most famous places to visit are the central Kalahari game reserve which takes up the largest part of Botswana and the great safari at Chobe National park. 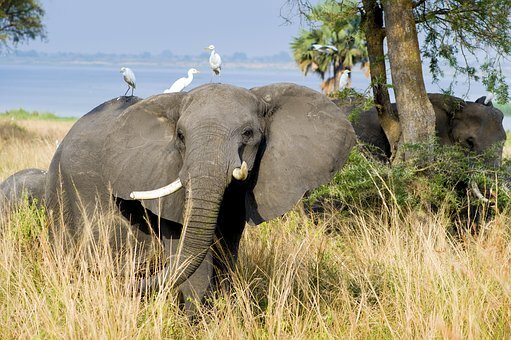 Book your spot to Chobe National Park here. It is a beautiful mountainous landlocked country which has evolved from the dark side of genocide to one of the best African countries to visit. Regardless of how the genocide impacted the country, Rwanda is now regarded as one of the safest countries in Africa. 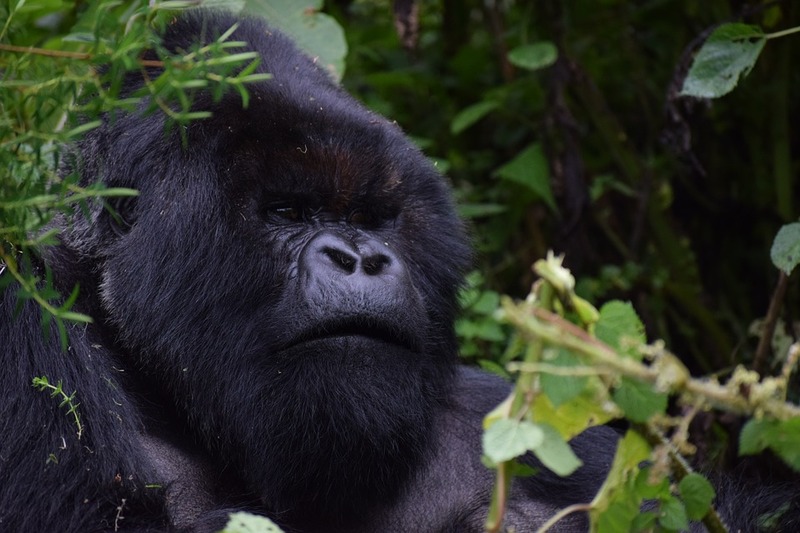 The tourism sector has been predominantly low in the past couple of years but thanks to the mountain gorillas in volcano national park, many tourists are starting to travel to Rwanda and it has been one of the leading foreign exchange earners. Just like Uganda, gorilla trekking is also the highlight of traveling to Rwanda though the activity is a bit more expensive in Rwanda. Unlike other East African countries, Rwanda’s capital city Kigali is one of the cleanest and most organized cities. There are strict laws and orders that you can barely see garbage on the streets. These are some of the best countries to visit in Africa in 2019. Have you been to Africa or just planning your trip? Let me know in the comment section with the African country you will be visiting first in 2019. If you’ve already been to Africa, let me know your experiences. I visited Kenya a few years ago, and have been itching to go back ever since! Rwanda is at the top of my list, I’ve been learning more about the country recently and it seems like it would be a wonderful place to experience. Yes i agree with you, Rwanda is such a beautiful place, i hope you like it when you go. I hope you enjoyed your stay in Kenya. did you get a chance to see the great migration in kenya the time you were there? hahahahah yes you can, with a bit of planning and money- you definitely can. oh wow- i am sure you had an amazing time on your money. Mauritius and madagascar are perfect honeymoon destination. Amazing post!!! Id love to go to those countries. Although I am also a travel blogger, I´ve never been to Africa. Thinking about going next year to Morocco and maybe to Seychelles and I would love to go to Kenya someday soon also!!! I’ve never been to Africa, though it’s been on my list for a long time. But all your suggestions sound so great that I want to go EVERYWHERE! Do you have a favourite out of all of these? Or something you would recommend for a first-timer? Yes Zenja, all these countries are beautiful. Uganda is a great choice(oh maybe that’s where i come from.. lol) . Egypt is another fascinating country with so much history and culture. I’d recommend it for first time travellers to Africa. This is an amazing list of destinations in Africa and thank you so much for including them all in one single post Esther! We’ve only been to Egypt but we are sure to keep coming back to this excellent guide of yours for our future trips to Africa! You are welcome Maria, that is so nice of you. Yes iEgypt is amazing, i hope you enjoyed your trip there. Yes, Egypt was one of the best trips ever and we would love to go back! I could never think of going to Africa on my own as a woman but after hearing some good stories from other solo female travelers, my mind stopped worrying. How was your experience regarding safety? Africa simply fascinates me but because of our heath, I don’t know if we’ll ever make it there. My sons and I can’t risk the extra vaccines we’d need. I hope someday we can handle them because I would LOVE to go! Africa has always amazed me. Unfortunately because of our health I don’t think we’ll ever get to to- my sons and I can’t handle the vaccines we’d need. I hope someday we can because I would love to see Africa! Africa is definitely on my bucket list! That’s pretty cool that Uganda people are considered some of the friendliest people in the world. Good to know tourists feel welcomed there. Yes (we) Ugandans are very friendly people. You can basically start out a conversation with anyone. And people will always smile at you which is really welcoming. WOW! what a great list of destinations, including some that were never on my radar but certainly are now! 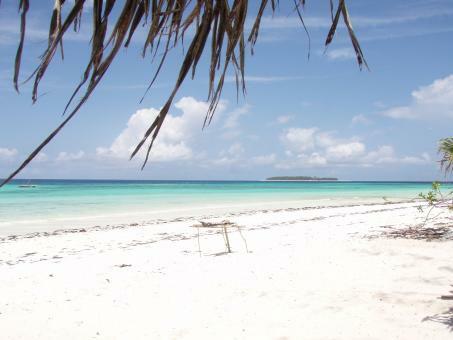 Zanzibar looks like a slice of heaven! thank you such an informative post! Very informative post and lovely pictures! We’ve visited some of these countries on your list but there’s always room for more next time we travel! Well curated list of African destinations for travel and safari. I have visited most of these and immensely proud of being there. wow, its good to know you’ve visited most of them. Which one was your favorite when you traveled to Africa? If you want to see animals, Africa is the perfect place. With so many national parks in most countries, you will definitely be in to see a lot of them. The continent of Africa is a bit overwhelming with so many countries to visit. Your list narrowed it down nicely, but has made me want to go to all of the locations. I hope to get there soon with my kids. I was sure about the places I want to visit in Africa, but now I added more thanks to your blog. Morocco and Zanzibar are at the top of my list! you’ve been to Uganda?? That’s so amazing, i hope you had an amazing time in my home!! Great post. Summary of all places to visit in any country in one blog. Thanks for sharing the details. Great post. Summary of all places to visit in African countries is in one post. Thank you for sharing the details. This is very inspirational as we want to see more of Africa! So far, I have visited two of these ten countries – Uganda and Morocco. Both were incredible experiences in very different ways! For some reason Rwanda has a HUGE appeal to me and it’s the country I’d most like to visit next in Africa. Glad to see it on this excellent list! I came back from Morocco recently and I enjoyed my trip in the Sahara. All the mentioned countries are great destinations but for safety reasons I would not go there again next year. I love this post! Fun fact: What inspired me to travel when i was young was seeing the wild in Kenya. From then on it has been on my top places to visit. I will definitely visit Kenya and the other places mentioned here. As African safaris are on my wish list since very long and it is great that you have shared a detailed post on them. Loved a list of best safaris in Africa and in that I would love to go for Rwanda and Kenya first. Thanks for sharing a great list with stunning photos. I always love visiting Africa, it’s such an interesting place. This is a great list of places that I haven’t really considered, so thanks for the very comprehensive list. Wowza! These destinations are all on my bucket list and they all looking amazing! Morocco and Egypt top my list though! Well, Morocco, Kenya and Egypt are the ones, where I would like to go. First one is for streets and markets, Kenya for wildlife and startups, Egypt for history and some beaches. 🙂 I wonder if I can make one big African trip. We are going to Ethiopia in December and we can’t wait. Maybe we will visit Kenya as well. Getting more and more excited after reading your blogpost. I am looking forward to eventually going to Africa some day. I appreciate getting some more information on each of these countries, there are some I never considered. I would love to tho to the Seychelles islands! Great article you have here! I would love to visit these destinations in the future especially Egypt, Uganda, and Seychelles! Great post- super info for those who haven’t been before and experienced the magic of Africa! Wow these are amazing recommendations. I’ve already been to Uganda (really loved South western Uganda), Kenya (climbed Mt Kenya point Lenana and went to safari), Rwanda (genocide museums are sad places, but Kigali super modern city), Morocco (climbed Toubkal and visited some cities) and Egypt (pyramids are definitely impressive). I still have a lot of countries to visit in Africa and I hope that in 2019 I will cross at least one out from your list 🙂 Thanks again for great post! Wow Joseph, i am impressed!! You’ve been to almost half of the countries on the list. Here’s is to more African adventures in 2019! Yes, south western Uganda is amazing and Kigali is so modern and clean compared to other East African countries. And it’s actually a crime to litter around the city! !